Peacefully lying at the crossroads of Africa, Europe, and the Middle East, Morocco is rooted deep in ancient traditions with ever flourishing blossoms of color, life, and beauty. The magnificent country is laden with unique sights and sounds infusing historic ruins and effervescent markets. Although Morocco is home to endless adventure, the souks, tanneries, Volubilis, and Sahara are must-sees for any visitor. 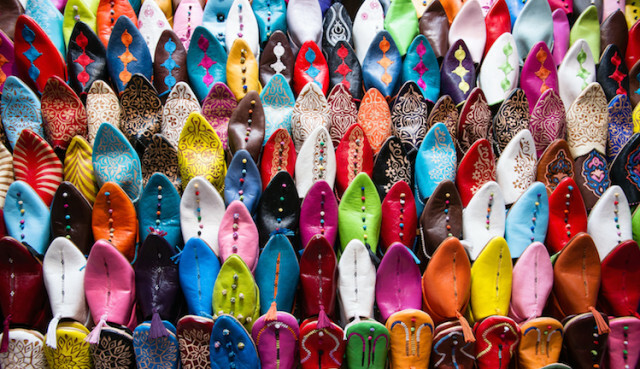 Vibrant souks embellish cities with intricate craftsmanship and culture. These rural marketplaces generally found within town centers sell everything from lamps to clothing to spices, and just about anything else you can think of! If you do find yourself venturing down these winding marketplace corridors, you will surely end up blissfully lost amongst impeccable artistry and chaotic bustle guaranteed to reinvigorate the soul. While walking through the souks you may just encounter the pungent odor of the tanneries. They might be tinge smelly, but Moroccan tanneries produce some of the most breathtaking leather you can get your hands on. The process of Moroccan leather making takes place primarily outdoors and uses a 100% natural method, which has remained basically unchanged since the 11th century. Can you guess some of the bizarre ingredients that make this process possible? The tanneries use pigeon dropping and cow urine in order to soften the skins before applying color extract from red poppy, yellow saffron, orange henna, and blue indigo. Although the whole process may seem a bit strange and repugnant, the tanneries are definitely worth the visit! Rome in Africa? Located outside Meknes, between Fez and Rabat, Volubilis marks centuries of complex history and proudly bears a UNESCO World Heritage Site title. Built in the 3rd century BC, Volubilis had been ruled by the Romans until 285 AD when it fell to local tribes and further became the seat of Idris ibn Abdullah of the Idrisid dynasty. These impeccable ruins make for an almost disorienting journey through ages of Roman and Moroccan history in just a few hours. Soft shades of yellow and orange play with falling shadows amidst the desert sky to create the immaculate and perpetually changing textures of the Sahara. 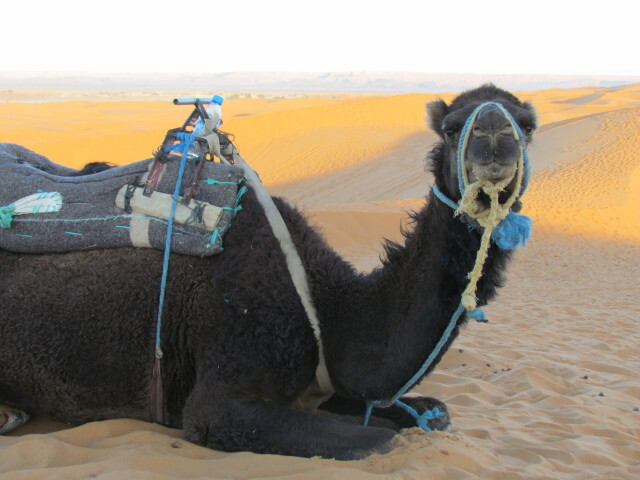 Your oasis upon this obvious Moroccan must-see can only be reached via 4×4 down unmarked dusty desert roads. When the jeep can take you no further, hop on a camel caravan up the dunes to watch the sunset or sunrise upon this magnificent landscape. And don’t forget, even the most distant and barren regions of the kingdom flourish with colorful art and lively culture in seemingly unreal surroundings. Do not leave Morocco without purchasing all the citrus you can eat! Lining every city and street, citrus carts provide for the most delicious, affordable, and healthy snack you can get your hands on. Load up a bag and peel away – you’ll need all the energy you can get for your Moroccan adventure!